Our first baby and the inspiration behind The Backwater Sanctuary, Tsavo is a gorgeous Thoroughbred ex-Racehorse from Mangalore. He was retired early with an inflamed front fetlock which affected his speed on the race track. Sadly, most retired racehorses are either put down or abandoned, as their upkeep can be expensive. 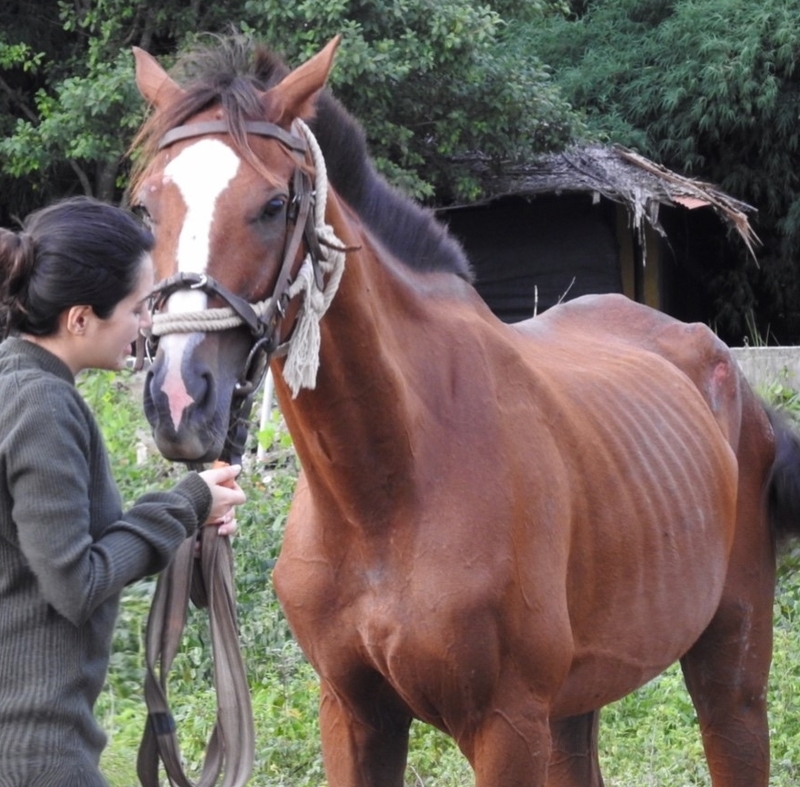 Tsavo was given to a local riding school where he was extremely neglected. He arrived at The Backwater Sanctuary in July 2017, severely underweight and wounded. He also suffered from rain rot (bacterial skin disease), resulting in sensitive bald patches all over his back and rump. 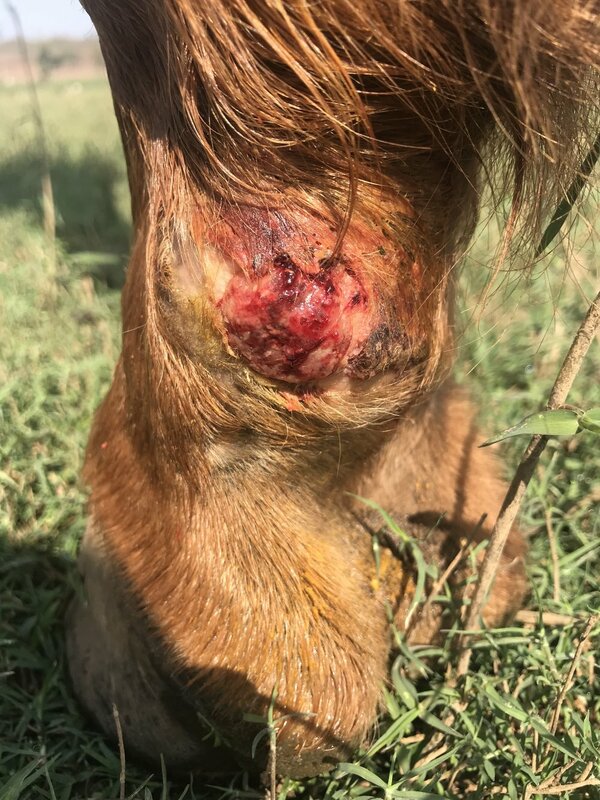 He had scars all over his body and an especially problematic wound in his lower hind leg that took nearly a year to heal fully! Despite the abuse, Tsavo maintains a gorgeous personality. After months of love and care, coupled with a little backwater magic, Tsavo has transformed into the beautiful horse that he is today. Tsavo has found his lifelong companion in Savannah, a gorgeous pony we rescued shortly after. They are paddocked together and even share a stable (we tried separate stables, Tsavo wasn’t at all pleased). Together they roam wild and free on the backwaters, blissfully lost in their world of fresh grass and freedom. Feed: We’ve calculated Tsavo’s diet based on his estimated weight and body condition. His diet currently includes 85% dried oats,15% bran mash, rock salt (mineral supplement), and a Himalayan powder, brilliant for digestion. Tsavo has been on this diet for a year now and it seems to suit him perfectly. He’s no longer underweight, he’s brilliantly healthy with a beautiful shining coat and a matching personality. As a thoroughbred, it is essential to make sure Tsavo is regularly exercised. 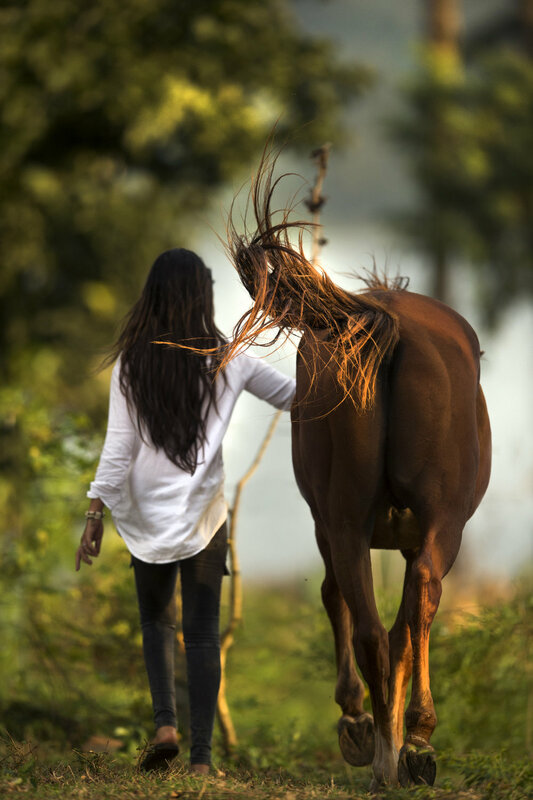 Zoha often takes him out for some light hacking on the backwaters where he loves to stretch his legs. He now calls this haven his home and roams wild and free as all horses were born to.